What are ETFs? What are ETFs? Capital at risk: All financial investments involve an element of risk. Therefore, the value of your investment and any income from it will vary and your initial investment amount cannot be guaranteed. Businesses with global ambition have attracted the attention of the BlackRock Smaller Companies Trust plc portfolio managers, shareholders heard at the AGM held in London on 5 June 2018. Following a year of relative calm on the stock markets in 2017, volatility has returned in 2018, which has led portfolio manager Mike Prentis to express some caution about the future for the UK economy, which remains weaker than other major developed economies (Eurostat, February 2018). It is important to remember that overseas investments will be affected by currency exchange rate fluctuations. More than half of the portfolio’s revenues are generated from overseas; a factor that has been critical in driving another year of outperformance for the Trust (BlackRock, June 2018). In the 12 months to 28 February 2018, the BlackRock Smaller Companies Trust generated a return of 22.7% against 11.1% from the benchmark Numis Smaller Companies plus AIM index (excluding investment companies) (BlackRock, February 2018). This marked 14 consecutive financial years of outperformance with the Trust having returned 16.2% annualised since BlackRock assumed management of the Trust on the 20th December 2004 (NAV with income included with any income reinvested on the ex-dividend date, net of fees). This compares to 8.7% from the benchmark over the same period (all calculations with dividends reinvested, source: BlackRock, February 2018). The figures shown relate to past performance. Past performance is not a reliable indicator of current or future results and should not be the sole factor of consideration when selecting a product or strategy. Net Asset Value (NAV) performance is not the same as share price performance, and shareholders may realise returns that are lower or higher than NAV performance. Index returns are for illustrative purposes only. Index performance returns do not reflect any management fees, transaction costs or expenses. Indexes are unmanaged and one cannot invest directly in an index. Source: BlackRock, as at 31 March 2018. Pound Sterling. BlackRock performance figures are calculated on a total return basis with net income reinvested including management & operating charges and any performance fees. The Trust’s undiluted Net Asset Value (NAV) (Net Asset Value is the value of the Trust’s assets, minus the value of its liabilities, divided by the number of shares outstanding). In addition to delivering outperformance, Prentis reminded shareholders of the Trust’s ability to provide income. Prentis revealed that over time the Company’s dividend had grown at a much faster rate than open ended competitors in that sector, going from £15 to £83 (on the initial £1,000 invested), an increase of 446% compared with an increase over the same period of 114% for the median UK Income Fund. “The Trust invests in cash generative businesses with the ability to grow and pay dividends. We have increased the dividend every year for the past 15 years, reflecting the quality of companies in which we invest,” Prentis said. The importance of the portfolio’s international exposure was made clear by new portfolio manager Roland Arnold. Arnold, who has been with BlackRock for 17 years and is Director of the UK Small & Mid Cap Equity team, explained the Trust favoured sectors and individual stocks with a growing international customer base. The largest five sector overweights are financial services (15.7%); industrial engineering (8.1%); media (8.6%); construction & materials (7.2%); and chemicals (4.4%) (BlackRock, May 2018). “The sector allocations reflect our position on the importance of international exposure. We are overweight in sectors that are global in nature, and we are underweight in those sectors that rely on the domestic consumer,” Arnold said. He added that, although the financial sector is often considered to have a domestic bias in terms of revenue generation, the Trust only selects stocks with an international focus such as fund managers with global portfolios. Continuing the international theme, Arnold said the portfolio’s top 10 stock holdings had convincing global markets. However, he added that for companies to be included in the portfolio they must also meet the Trust’s strict investment criteria. “We only invest in companies with strong management teams that have good track records, strong market positions, decent balance sheets and are cash generative,” Arnold said. Prentis said he had a positive outlook for the global economy for the coming year but added a word of caution. The looming threat of trade wars following President Trump’s March 2018 announcement that he would impose tariffs on all imports of aluminium and steel, have the potential to create political tension and market volatility (BlackRock Smaller Companies Annual Report, February 2018). “Market volatility in 2018 has been more significant than in 2017 and fears about trade wars and political disagreements have exacerbated this,” Prentis said. Again, Prentis singled out the UK economy as having a particularly uncertain future as the country continued to negotiate exit terms from the European Union. “Some businesses may delay making decisions until we have clarity on Brexit,” Prentis said. However, while the portfolio managers are wary on the UK, they are positive for the nation’s smaller and mid-sized companies. Arnold said that, since the universe of stocks from which the managers can choose is vast: “The UK smaller companies sector is diverse and dynamic. There is a lot going on and there are plenty of opportunities,” he concluded. The Trust’s investments may have low liquidity which often causes the value of these investments to be less predictable. In extreme cases, the Trust may not be able to realise the investment at the latest market price or at a price considered fair. Investment strategies, such as borrowing, used by the Trust can result in even larger losses suffered when the value of the underlying investments fall. BlackRock have not considered the suitability of this investment against your individual needs and risk tolerance. To ensure you understand whether our products are suitable, please read the Key Investor Documents (KIDs) and the Annual and Half Yearly Reports available at blackrock.co.uk/its which detail more information about the risk profiles of the investments. We recommend you seek independent professional advice prior to investing. Non-mainstream pooled investment products status. The Company currently conducts its affairs so that its securities can be recommended by Independent Financial Advisers to ordinary retail investors in accordance with the Financial Conduct Authority (FCA) rules in relation to non-mainstream investment products and intends to continue to do so for the foreseeable future. The securities are excluded from the FCA's restrictions which apply to non-mainstream investment products because they are shares in an investment trust. Any research in this document has been procured and may have been acted on by BlackRock for its own purpose. The results of such research are being made available only incidentally. The views expressed do not constitute investment or any other advice and are subject to change. They do not necessarily reflect the views of any company in the BlackRock Group or any part thereof and no assurances are made as to their accuracy. The Company is managed by BlackRock Fund Managers Limited (BFM) as the AIFM. BFM has delegated certain investment management and other ancillary services to BlackRock Investment Management (UK) Limited. The Company’s shares are traded on the London Stock Exchange and dealing may only be through a member of the Exchange. The Company will not invest more than 15% of its gross assets in other listed investment trusts. SEDOL™ is a trademark of the London Stock Exchange plc and is used under licence. Issued by BlackRock Investment Management (UK) Limited (authorised and regulated by the Financial Conduct Authority). Registered office: 12 Throgmorton Avenue, London, EC2N 2DL. Registered in England No. 2020394. Tel: 020 7743 3000. For your protection, telephone calls are usually recorded. 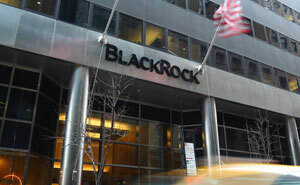 BlackRock is a trading name of BlackRock Investment Management (UK) Limited.